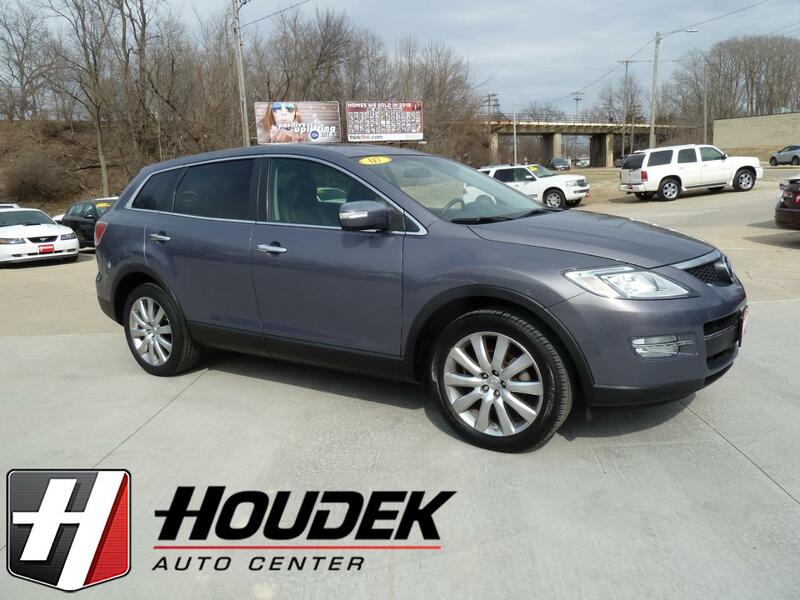 Here is a nice, ONE OWNER CX-9 with Service Records. Features the Grand Touring Trim, 3.5L V-6 Engine, Automatic Transmission with Sport Shift, All Wheel Drive, 20-Inch Alloy Wheels, Power Sunroof, Power Seat with memory, Heated Leather Interior, 3RD Row Seating, Woodgrain, Bose Sound, AM/FM/6-Disc CD Player, Aux Input, Navigation, Back Up Camera and more. Inspected and ready to go. Stop out or call for details.